Online gambling conference organisers Beacon Events looks set for a busy year in Asia, announcing a line-up of gaming events in the second half of 2009 and first half of 2010 that includes the Asian Gaming Regulation and Investment Summit, iGaming Asia Congress and Asian Sports Betting Summit. 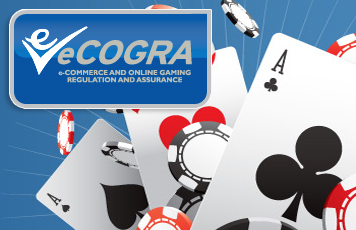 Asian Gaming Regulation and Investment Summit [www.asiangamingregulation.com], is scheduled for 6-8 October 2009 in Taipei, Taiwan and will give an unparalleled insight into this and other up-and-coming markets in Asia, boasts Beacon. Covering the latest regulations for gaming operators and technology suppliers in the key jurisdictions, as well as investment tips and opportunities, the conference is being supported by the Tourism Bureau of Penghu County and incorporates a site visit to Penghu County for an exclusive first look at one of the casino development sites. Asian Sports Betting Summit [www.asiansportsbettingsummit.com] will be held in Macau between 18-20 May 2010. This inaugural Asian Sports Betting Summit will bring the betting community together for more discussions on innovative product offerings, specific operational issues for Asia, marketing and customer retention strategies and the future of in-play betting. It will cover both land-based and online, East and West. Hong Kong-based Beacon Events says it also has ambitious plans for country specific programmes in Australia, Cambodia, Japan, Korea and Singapore, providing a comprehensive overview of these promising markets with site visits to some of the newest venues.